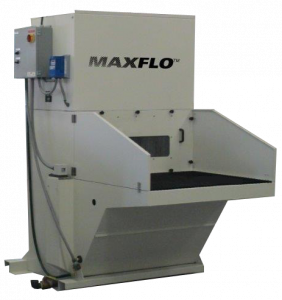 The Wet Dust Collector series from MAXFLO is the answer for safely filtering aluminum, magnesium, titanium, heavy sparking applications, and other potentially explosive dust. These wet dust collectors meet National Fire Protection Association guidelines for processing and finishing aluminum, as well as OSHA and NFPA regulations for dust removal located inside buildings for in-plant re-circulation of filtered, tempered air to conserve energy. Our wet dust collectors are available in three series: containment booth, downdraft table and ducted. Varies sizes are available in each series. 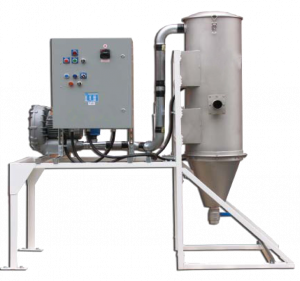 Our wet dust collectors may be equipped with an optional conveyor or hydrocyclone for sludge removal. Both the booth and the downdraft table offer the option of re-gain air to enhance capture velocity. 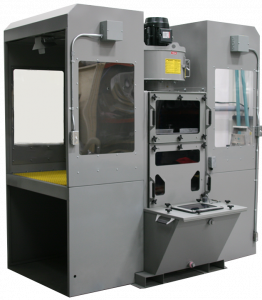 MAXFLO-WHV Wet High Vacuum Systems offer safe collection of aluminum, magnesium, titanium and potentially hazardous dust. Standard unit capacities range from 150 to 1500 CFM. Custom sizes available.